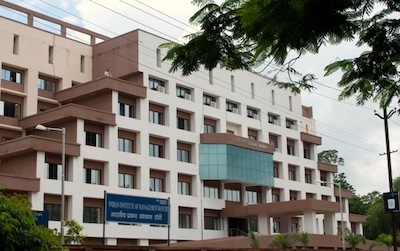 The Indian Institute of Management (IIM), Ranchi is going to start a weekend executive management program starting September 2011 for professionals with five or more years of work experience in the government, private or public sector. According to MJ Xavier, director of IIM Ranchi, classes for the 18-month program titled ‘PGPEX’ will be held on alternate weekends and fifty percent of the core course will be taught by the fulltime faculty members of the institute. The batch size for the PGPEX program this year is 40. Incidentally, IIM Ranchi has only two fulltime faculty as of now, but has made job offers to five more teachers to join the institute from this year. The Human Resource Development ministry had ruled earlier this year that faculty members at all the seven new IIMs were required to teach for at least 160 hours in a year. Xavier adds that the reason for starting the course was that corporates operating in the Jharkhand area had evinced an interest in getting their executives trained in various management principles. IIM Ranchi is expecting a good response from companies like Heavy Engineering Corporation, SAIL, Arcelor Mittal, Essar Power, Usha Martin and some of the other Jharkhand-based companies to sponsor candidates for the program. “After an interaction with some of the companies based in the surrounding regions, we gathered that they wanted to upgrade the skills in their own employees. So we expect these companies to sponsor most of the candidates, said Xavier. PaGaLGuY spoke to MECON (Mechanical and Engineering Consultants Ltd, a public-sector undertaking) which confirmed the participation of some of its employees in PGPEX. “The PGPEX program is meant to enhance the aptitude of the participants and familiarize them to a better understanding and knowledge about the subject. So we encourage employees to do such courses and in some cases we also sponsor them based on the requirements,” said M Tirkey, General Manager, MECON from Ranchi. Tirkey added that the company will consider sending candidates for the course after IIM Ranchi made a formal presentation about the course structure. MECON has sponsored some of its employees in the past for similar programs conducted by Birla Institute of Technology, Ranchi and Xavier Institute of Social Service, Ranchi. Officials from Heavy Engineering Corporation and Arcelor Mittal at Ranchi refused to comment on the programme or their participation.